Now there are two cyber solutions for supporting Bright Lights all year round! First - mark your calendars! #GivingTuesday is right around the corner. Once again, Bright Lights is part of this global day of giving occurring on November 27. #GivingTuesday is held annually on the Tuesday after Thanksgiving to kick-off the holiday giving season. 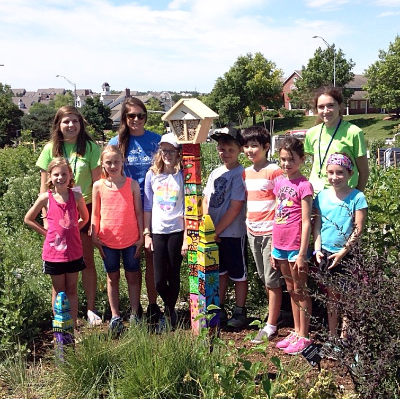 Please consider giving to Bright Lights directly to support authentic summer learning: https://www.brightlights.org/fall-fundraising-campaign/2019.html or on our Facebook page! But wait-- that’s not all! 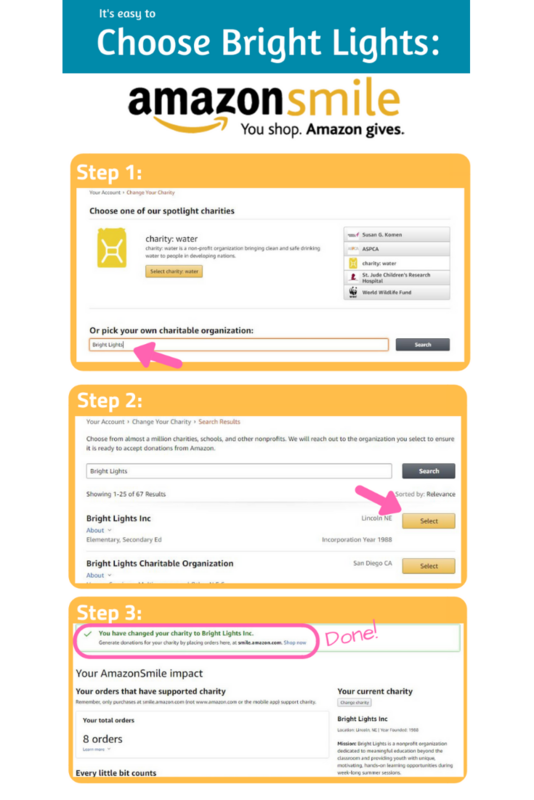 You can make Giving Tuesday last ALL YEAR ROUND by selecting Bright Lights as your charity of choice on Amazon Smile. Bright Lights has just become an Amazon Smile member and you can contribute anytime you shop on Amazon. Simply go to https://smile.amazon.com/, select Bright Lights then shop! We recommend you bookmark https://smile.amazon.com/ in your browser, because anytime you use that link to shop, .5% of qualifying purchases will come directly to Bright Lights… with no extra charge to you! What an easy way to bring a smile to Bright Lights AND your gift recipients this holiday season.